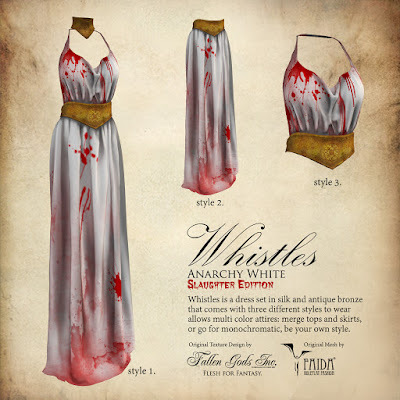 Thank you Sonya for the bloody awesome fashion pics for Whistles: rabbits can slaughter quite nicely. My bunny's blog is here. A still option of Oceanica basic tones. 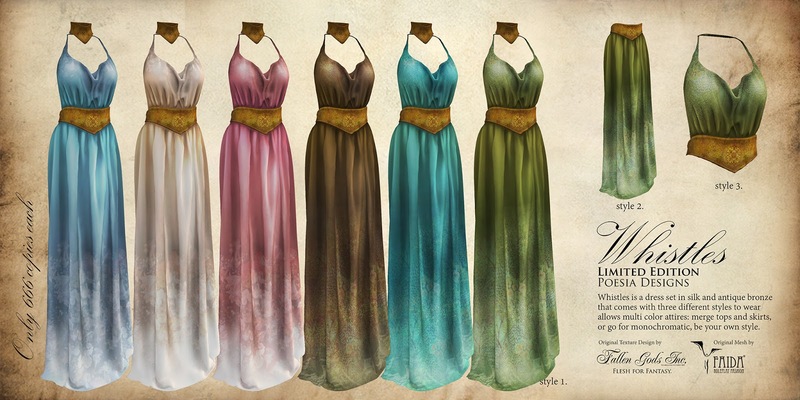 Summer's Fantasy Gacha Carnival round is here and it's all about Dresses. 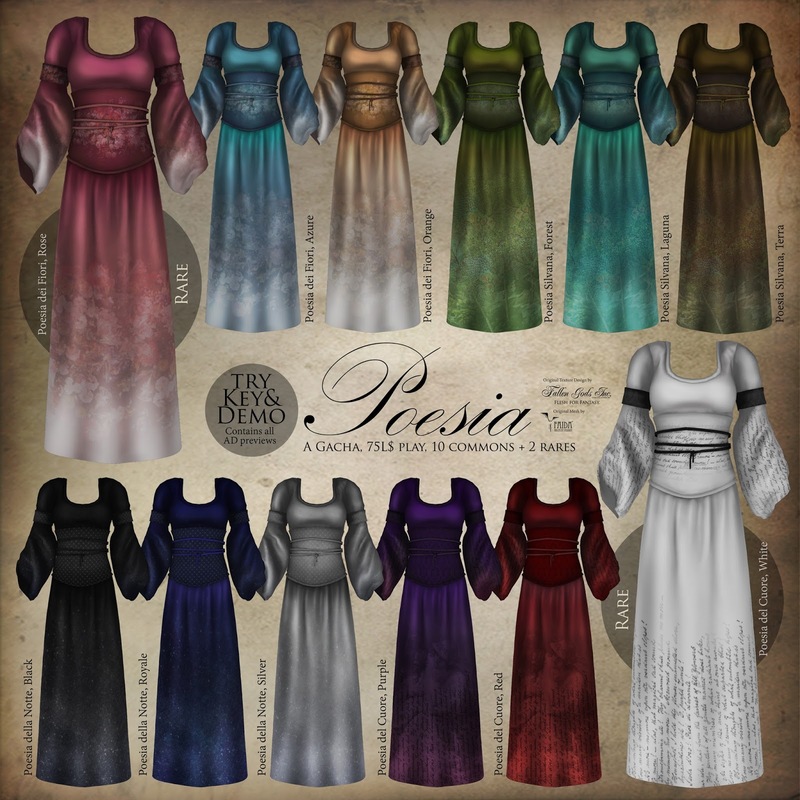 Poesia as Gacha and a limited Set of Whispers, a lovely collaboration with Titania from Faida. 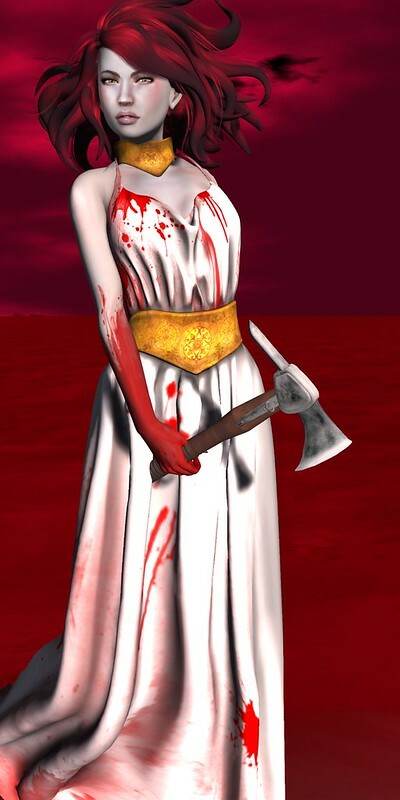 Sidera, because we are all made of stars, at We Love Roleplay. A new release, as always discounted 30% off. SLurl to the new Location.